I won’t pretend that I come from an era that was particularly enlightened in regard to women’s rights. This was a different country one hundred years ago. When I originally held the Highest Office in the Land, women had yet to establish suffrage. Granted, the Nineteenth Amendment to the Constitution—which at last guaranteed women the right to vote—was a mere handful of years away from being passed when I left office in 1913. Of course, the vote is not the issue today. We take women’s suffrage as a given—as we no doubt should have all along. I am a Progressive, and I take pride in America’s progress. But that progress does not always come as swiftly as our conscience demands. Especially in regard to one of today’s most looming issues in regard to women’s rights: reproductive choice. The attacks on reproductive choice—both contraception and abortion—have been fervent of late. Granted, I have been asleep for a century, so my knowledge of the current situation had to come from books, colleagues, and the Internet. But it seems to be that this issue was decided by the Supreme Court, definitively, forty years ago. Allow me to make my position clear: Should the American people grant me the honor of a second term as President this November, I will uphold Roe v. Wade. Furthermore, I will defend it passionately against all those who would seek to curtail it. For I am not only a Progressive—I am a lifelong Unitarian, and my faith clearly lays out its historical support for a woman’s right to choose. For me, however, this is more than an issue of legislation, ideology, or religion. It is about, as I mentioned above, conscience. I once belonged to the Republican Party, and I am aware that the GOP no longer champions the cause of progress, as it did in my day. Hence my independent candidacy. We must each, in our hearts, be independent. Granted, we must weigh our beliefs against the counterbalance of society as a whole, but ultimately, our own conscience must dictate the course of our moral current. In that light, the issue becomes simple. A woman’s body is her own. I would not ask her to surrender to that sovereignty any more than I would ask her to dial back the clock a hundred years and relinquish her right to vote. This stance may not make me popular among certain segments of my following. So be it. I have been chastised for my inclusive faith and progressive beliefs before. The cause of progress is larger than me, or any one of us. And it is certainly larger than those certain stunted souls who would forge fresh chains for the woman of America. What utter nonsense. Why ruin an otherwise fun Taft site with this anachronistic rubbish? I suspect you have no idea what a Progressive circa 1912 was. And you have no grounds to enlist William Howard Taft as a pro-abortion spokesman. 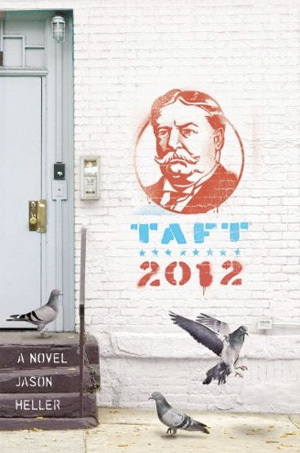 Frankly I think the idea that William Howard Taft would approve of abortion is preposterous.